In a bid to promote the Small and Medium Hotels Rs. 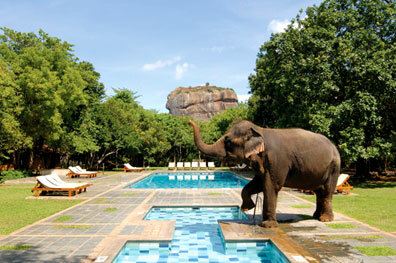 100 million has been allocated for special promotions by Sri Lanka Tourism. 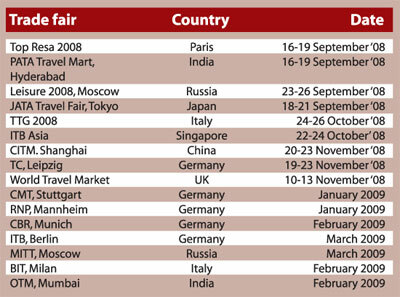 This would be provided for the SME sector to participate at International Trade Fairs. Under this program over 90 per cent subsidy will be given on stand cost and registration of the participants will be organised by the Promotions Bureau. In addition the Sri Lanka Tourism has organised series of events to promote the SME hotel sector specially targeting the Kataragama Pageant in August and Hikkaduwa Beach Carnival. SLTPB will be working with a research agency to carry out an airport exit survey at the BIA over a number of months in September. Linked to this process would be a compelling promotional campaign where the visitors would be issued with discount coupon booklets which attractive discounts including those for the SME sector hotels. These would ideally be sent by the visitors to their friends abroad. Booking Engine dedicated to the SME sector is also on the cards. A mega promotional campaign will be done via print and digital media, communicating special discounts at SME Sector hotels, and themes targeted at families, couples, groups and even corporate events. Promoting Ramayana Trail has been on the cards and travel agents in India will be accredited by Sri Lanka Tourism to promote Ramayana. Promoting Buddhist Traffic is another promotion for the SME Sector, said Vice President Tourist Hotels Association Srilal Mithrapala. Hotel Sigiriya won First Place in the category of Green Award for value hotels in the International Restaurant and Hotel Award (IRHA) USA. This is the first time a Sri Lankan Hotel has won a Green Award in the USA. This is indeed a very prestigious achievement for Serendib Leisure Hotels, given the fact that many hotels from all over the world competed for this award under multiple categories, including Best Design Hotel, Best Family Friendly Hotel, Best New Hotel etc. Hotel Sigiriya has been in the forefront of energy and environment conservation activities for several years now, and it is only fitting that the hard work, motivation and perseverance has now paid off with this recognition the hotel has received. The hotel has implemented several energy conservation and renewable energy projects, such as Solar Water Heaters, Biological Sewage Treatment Plan, Composting of garbage, replacing of diesel fired boiler with a Bio mass Gasifire etc. The success factors of all these initiatives had been the dedication and perseverance of the staff, proper documentation and record keeping, which has enabled the hotel to carefully track the results over the years. It is estimated that due to these energy conversation initiatives, the hotel is saving approximately 10% on expenses annually. Hotel Sigiriya is also the first hotel in Sri Lanka to have calculated its carbon foot print which also has been successfully reduced from 240. 2 MT in 2006/07 to 166.8 MT in 2007/08. CEO Serendib Leisure Srilal Miththapala, said that most of these initiatives were begun primary to reduce energy costs, but as the projects developed, we found that there were greater benefits accruing not only directly but indirectly. This has become a useful marketing tool now, where discerning travelers are beginning to choose hotels, which are more environmentally conscious. He added that he was happy of the very dedicated and motivated hotel operations team, who genuinely believed in what they did and relentlessly pursued with their initiatives, in spite of many obstacles, therefore, this award is a truly fitting reward. Colombo's Italian restaurant, "The Bay Leaf", brings to gourmet palates the gastronomic adventure of a tempting fresh salmon promotion in June. The signature dishes to be launched on Sunday June 15 evoke the delightful flavours and aromas of the Mediterranean coast and re-define salmon as an all-round dining experience. Meanwhile the Bay Leaf continues with its traditional Pizza of the Month. Taking top billing in June is "Pizza Meat Treat" - with its generous helpings of Pepperoni, Chorizo, Beef, Ham and Fresh Tomato. With the highlight of the month being Father's Day, the Bay Leaf has also conjured up a range of gourmet dishes for all the special Dads in town. Now a regular feature in Colombo's shopping list are the baskets of fresh produce from Nuwara Eliya's vegetable gardens an attraction at the Bay Leaf over the weekends. Available as hampers and also in baskets, fresh vegetables can even be purchased by weight without the option of a hamper.